Dell at CES has unveiled an absolute drool-worthy monitor in the UltraSharp UP3218K, a 32-inch monitor with an insanely high resolution of 7,680 x 4,320 at 60Hz (and a scary price tag to match). 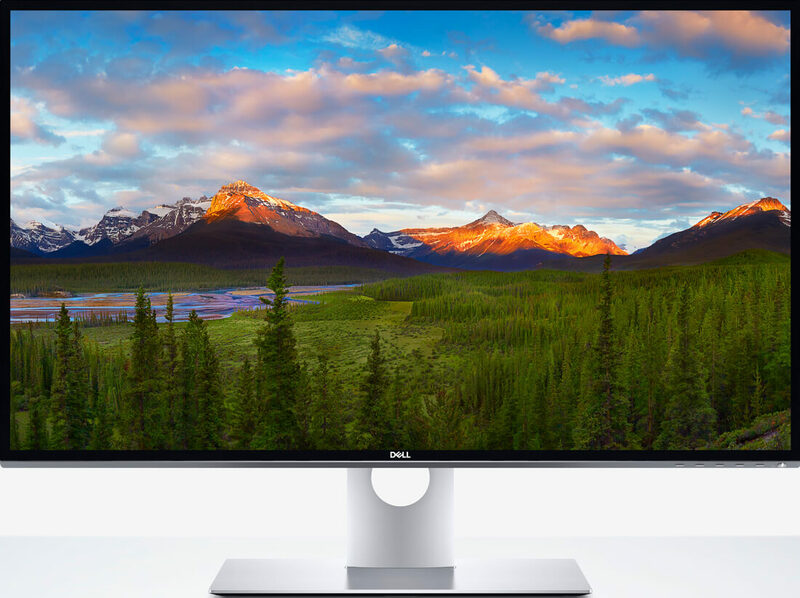 Labeled as the world’s first 32-inch 8K resolution display with Dell PremierColor, the UP3218K offers 1.07 billion colors and packs in more than 33 million pixels – that’s four times as many as a 4K display and 16 times more than Full HD. That translates to a PPI rating of 280 which is very high for a desktop screen. The display covers 100 percent of the Adobe RGB and sRGB color gamut, offers a brightness of 400 cd/m2 / and a contrast ratio of 1,300:1. Connectivity options include two DisplayPort 1.3 connections, four USB 3.0 ports (1x BC1.2 charging capability) and an audio line-out connection. The UltraSharp UP3218K certainly looks the part but that doesn’t necessarily mean it would be a good fit on your desk. Allow me to explain. I had the unique opportunity to review Dell’s UltraSharp 4K UP3216Q 32-inch monitor a few months back as part of a full-on desktop replacement project. The display, which we gave away to a lucky TechSpot reader along with a Dell XPS 13 notebook, impressed me so much that I found myself in search of something to replace the two baby-sized-by-comparison 22-inch displays and a 24-incher that I’d been using in a triple monitor configuration for years. As I found in that review, 32 inches is about as small as I’d recommend for a 4K monitor that you intend to run natively without any sort of scaling. Dell’s newest 32-incher is the same size but with four times as many pixels. Even for the most eagle-eyed user, this is simply too small of a display / too many pixels to run natively with your computer. Scaling more or less defeats the whole purpose of having a high-resolution monitor and it'd be a crime to have to do so with this 8K Dell. You can also hang up the idea of playing AAA games natively unless you have some seriously high-end hardware in your PC case. There’s also the issue of price as Dell’s new 8K display will set you back a cool $4,999 when it goes on sale on March 23 via Dell.com.